This page is for customers to buy a Custom Special Order VIN plate design, at a cost of £17.50. 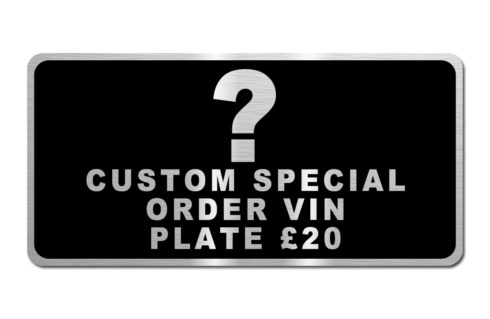 Please only purchase this plate if you have already requested a VIN plate design to be made for you. 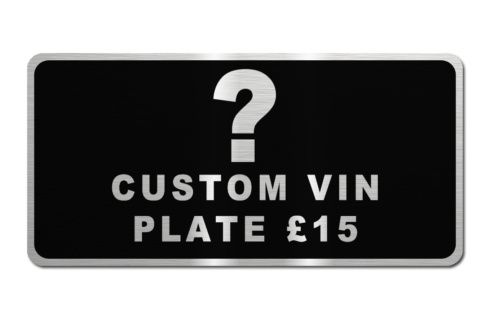 If you have not requested a design yet you can start the process by using the order form link below, we will send you a proof image of your custom plate before payment is required.